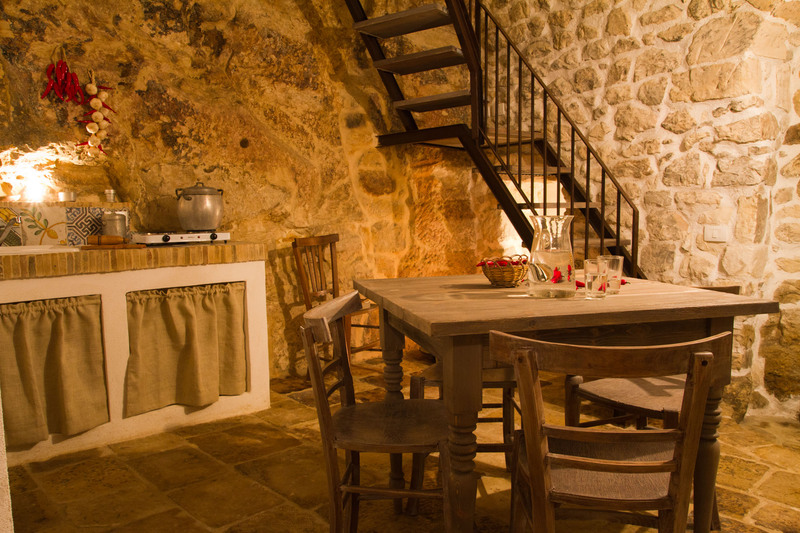 Cave house on two floors, cozy and intimate, where the past times seem to have stood still, surrounded by an intimate atmosphere and no present time signs. 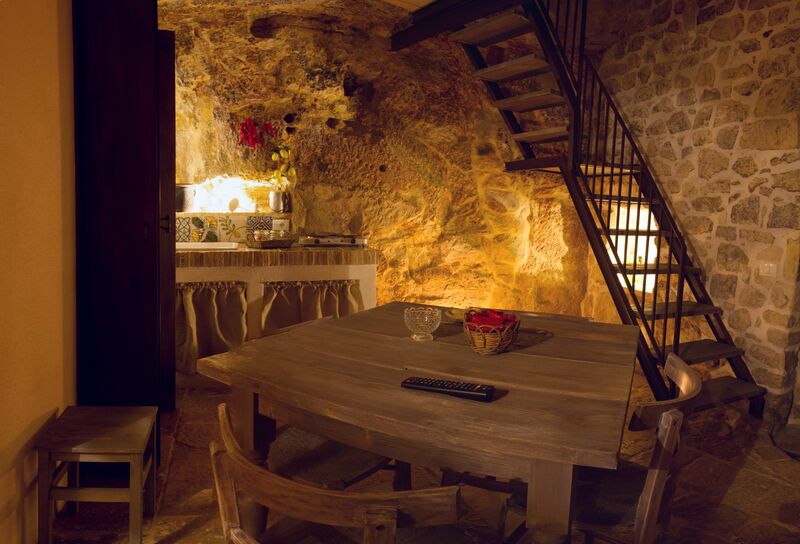 The House on two levels, is a double room in cave, stone walls and local stone floor. 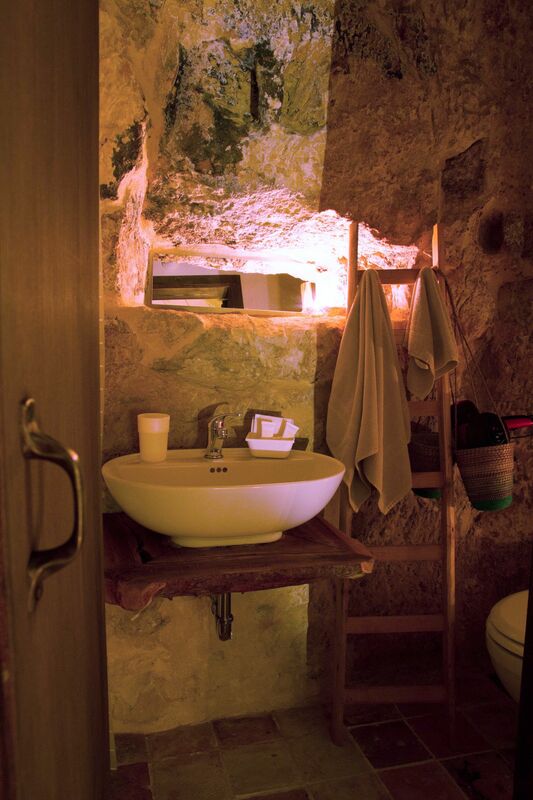 Particularly spectacular on the ground floor is the borders of the living area with the cave in a cavity there is an original bathroom . 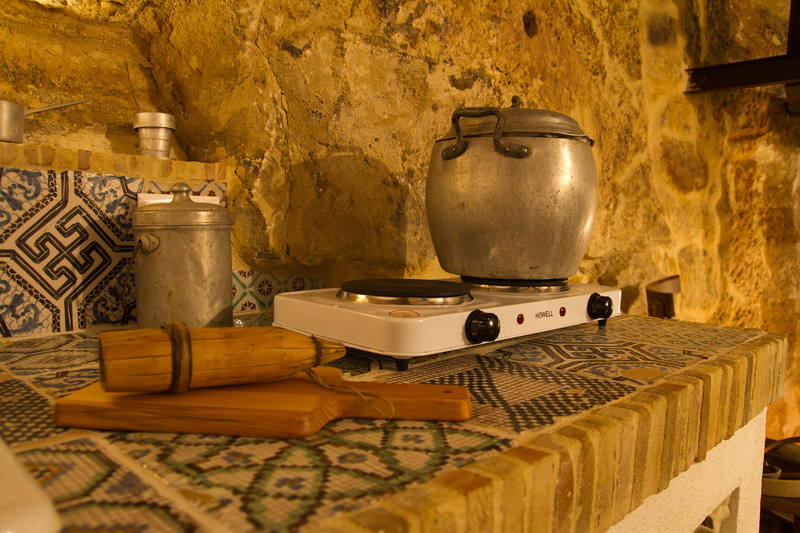 Near it is a kitchen with a terracotta and majolica plan of the best Sicilian tradition. 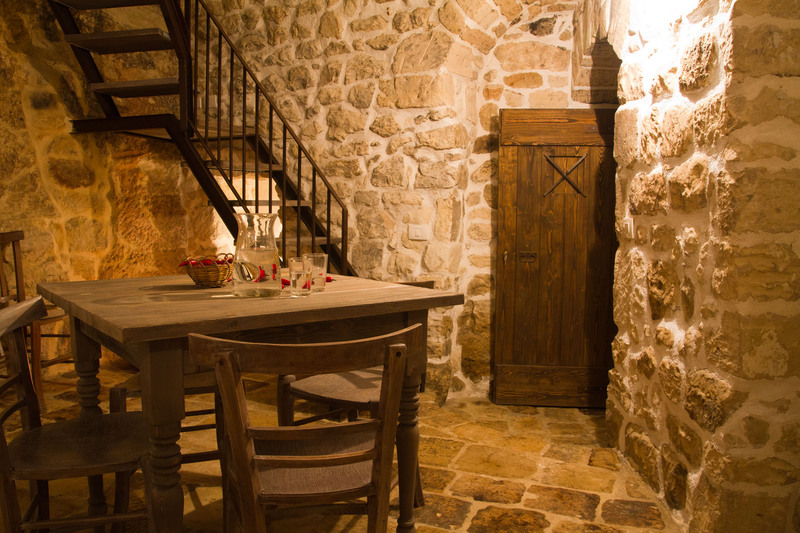 Then a loft with a wooden floor reached by a staircase used as a stone vaulted, romantic and minimal bedroom. 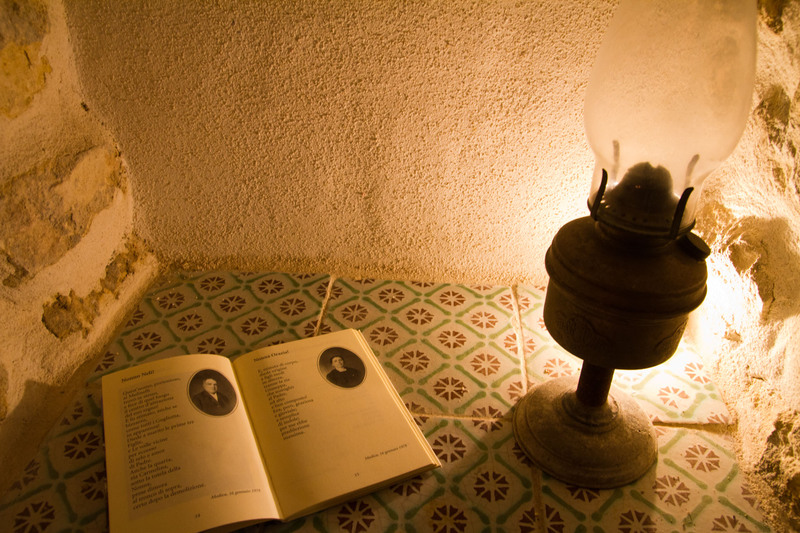 Valuable is its once old window that ,in the past ,played the role of spy hole, not only to recognize who was near the fortified house, but also, in extreme cases, to shoot .intruders. 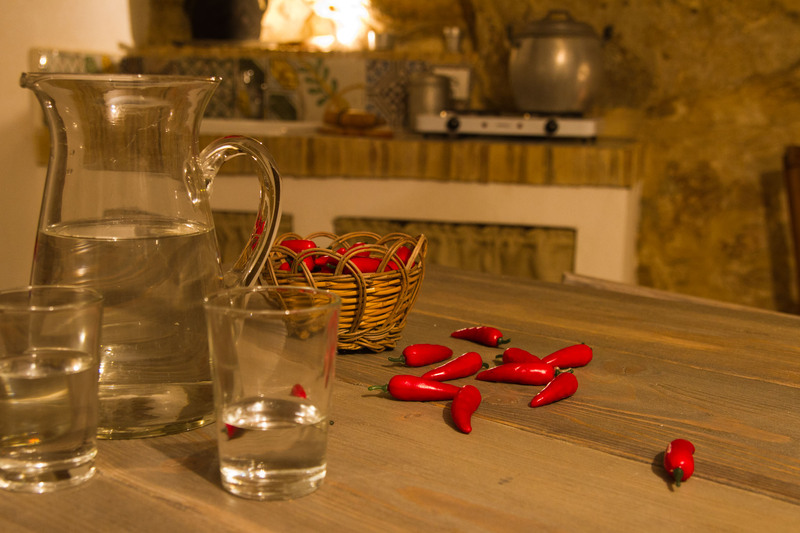 There is a flat screen TV, Wi-Fi, heating, hairdryer, toilet, bathroom, shower, minibar, desk and kitchenette. 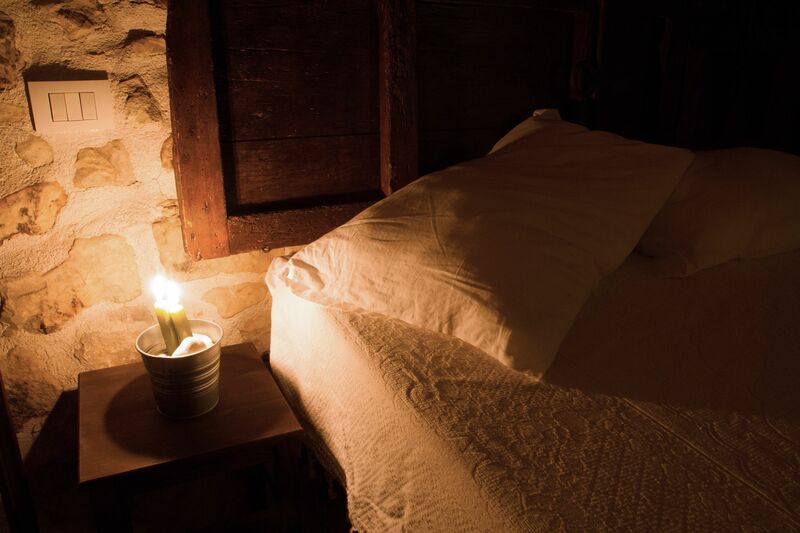 Bed type: 1 double bed, with the possibility of adding a cradle or a sofa bed in the living area.